HawaiiGolfDeals always provides exclusive, cutting-edge service that delivers the best pricing for air, vehicles, lodging, golf and even other attractions & activities. No more spending countless hours shopping on the Internet. 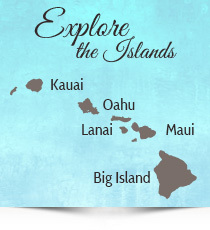 We know Hawaii and every possible way to get you the best deals. Our over two-decade relationships with Hawaii’s top vendors, wholesalers and consolidators—as well as our unique ability to price-match off of any online provider—is unparalleled. Plus, we know all the tricks-of-the-trade and secrets that consumers cannot find. In other words, we provide expert advice and insider knowledge that will make your Hawaii vacation experience better, cheaper and far more efficient. To get started, just give us a few details and we’ll be in touch within 72 hours or less. There’s never a high-pressure sales pitch, just useful information and advice. In fact, we’ll make planning your trip as efficient and affordable as possible. Our Hawaii Golf Vacation Service really delivers great Big Island golf vacations. In addition to the beachfront high-end hotels on the Kona-Kohala Coast, we also feature a slew of condo/villa-style units at the Waikoloa Beach Resort and Mauna Lani Resort. No matter where you lodge, we have a slew of outstanding golf courses ready for you to play unlimited Big Island golf. 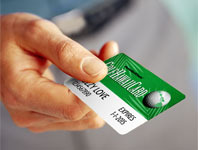 Book your Hawaii Vacation to “The Golf Capital of Hawaii” with HawaiiGolfDeals. Nobody delivers a better Maui golf vacation package than HawaiiGolfDeals! We have the best price on the planet to stay and play. We also offer the most versatility and greatest array of Maui vacation packages. Our Maui guests receive our exclusive “Insider’s Guide to Maui Golf,” which always delivers the best golf deals on Maui. Don’t visit Maui without checking with us first. HawaiiGolfDeals serves up a host of lodging options and several compelling golf courses. Your HawaiiGolfDeals Oahu golf vacation can feature any accommodation in Waikiki, but we highly recommend lodging in the Waikiki Gateway area and a new offering on the Leeward coast. Play Hawaii Prince Golf Club at Ewa Beach, Coral Creek Golf Course, Royal Kunia Country Club and Makaha Valley Country Club. Enjoy the savings of a great Oahu Vacation at our personally selected accommodations. The Garden Island, as Kauai is also known, is not the golf heaven it once was. Two major resort courses have shuttered during the past few years. Each of the three resorts now have one 18-hole layout. Kauai also has fewer hotels and dining options, but it is a nice little island and worth a four to seven-night visit. Our exclusive and complimentary Insider’s Guide to Kauai Golf will tell you everything you need to know about golf deals on Kauai and leave out fees and middlemen. We can book any package you find for less than you’ll find it anywhere else. Just get in touch. Whether you have a group of eight or 80 persons, HawaiiGolfDeals Group Desk delivers the ultimate group vacation packages to Hawaii — with golf or without. Our expertise in Group Golf Vacations to Hawaii is unrivaled and our group vacation package experience gives us the ultimate knowledge of just how to satisfy the needs of all. Big Island group packages, Maui group packages and Oahu group golf packages are our specialty. From air to car rental to hotels to dining to activities, Nobody beats HawaiiGolfDeals for complete group Golf Vacations at prices far below the usual suspects. In the unlikely event anyone beats any of our listed package prices, we will book your Hawaii golf vacation less $50 per-golfer on a five-night package, $70 per-golfer on a seven-night package, $80 per-golfer on an eight-night package, $100 per-golfer on a 10-night package and so forth. All you have to do is send us the fully booked (but not paid for) itinerary from any online service, travel agency, tour operator or wholesaler. You can even send us the print out from any direct booking. If it does not include applicable lodging/vehicle sales taxes, fees & surcharges (as many do not), we will add the appropriate amount and then make the comparison. Remember, get those pretenders to put in all the golf we spell out in order to compare mangos to mangos. Be advised, NO ONE HAS EVER BEATEN OUR PACKAGES. If you are the first, we will also award you a round of golf for two on one of the islands you are visiting. Happy hunting!